How Spices Can Help Against Candida Albicans - YeastInfection.Org by Eric Bakker N.D.
February 6, 2015 by Eric Bakker N.D. Spices are known to possess a large number of health benefits and medicinal applications. Different spices have been used for healing and to treat ailments for centuries. For example, the use of turmeric for healing purposes dates back to Before Christ. Clove, caraway, basil, cardamom, cayenne pepper, cinnamon, lemon grass, mint, onion, pepper, ginger, thyme and vinegar are only few of the many spices which are reported to possess significant health benefits (Riekin L 1999). Candida albicans is fungal specie which mostly grows inside the digestive system of humans. This fungus affects the human body by infecting genital as well as oral regions. This results in a condition known as candidiasis. 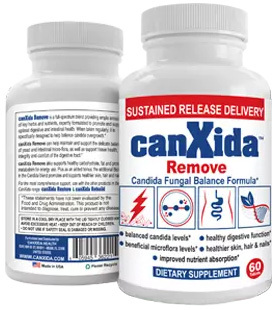 Although, candida is known to scientists as an opportunistic organism, it is however, not an uncommon pathogen inflicting a large number of general population. Most of which may remain silent and go unnoticed. Basically candidiasis can be caused by eating a diet which is rich in carbohydrates, stress which can be physical as well as environmental and overuse of antibiotics that disrupt the internal flora of intestine (Allison DB et al 2001). Know your likelihood of being infected by Candida: If you are worried that your symptoms and signs might be a result of underlying candidiasis, it is recommended that you take a short quiz (https://www.yeastinfection.org/yeast-infection-evaluation-test/) and find out your likelihood of being infected by the disease. Why spices are good against Candida albicans? Despite a lot of misinformation being represented against the beneficial effects of spices, a growing body of evidence is in support of spices, possessing dramatic effects, against micro-organisms and parasites. Many spices are embellished with characteristic ingredients which act in their peculiar way to fight against the drastic consequences of candida. Antioxidant & Probiotic Role: Garlic is a spices used in Indian subcontinent for centuries due to its beneficial effects on digestive system. It has been shown to discard and purify the alimentary tract of worm infestation. Due to its antioxidant and probiotic properties, it can help grow beneficial strain of bacteria, lactobacillus, in our digestive system and helps against candida infection in two ways: one is by direct toxic effects on fungus and other, by improving colonies of lactobacilli. Rejuvenates Immune Response: Ginger is another form of spices which is one of the main ingredients used in cooking Indian meals. It has been regarded due to its immune boosting properties. Immune is our body’s natural defense mechanism which is essential as a barrier against invading microorganisms. Any breach in this barrier would give away opportunity for microorganisms to harm body in many ways. Therefore, nourishing our immune system is one of the ways by which spices help strife against candida. Antifungal: Rosemary, scientifically known as rosmarinus officinalis, just like thyme leaf, has been shown to possess properties to resist against oxidative stress posed by many external influences. Especially, thyme has been observed to work as an antifungal with effectiveness comparable to Fluconazole (allopathic antifungal). In an experiment conducted by Manohar and colleagues in 2001, it was proposed that spices are involved in fighting against candida albicans and plays a significant role in inhibiting its proliferation. In this study, the effects of origanum and carvacrol were tested on cultures of candida. Stunningly, origanum at a minor concentration of 0.25 mg/ml was observed to totally halt the growth of Candida albicans. Both spices were shown to restrict germination as well as mycelial growth of C. albicans in a dose dependent manner. In another experimental study, mice were infected by Candida albicans and then were treated with origanum and carvacrol. It wasn’t surprising to find that the results were in collaboration with the findings of previous study (Manohar V et al 2001). Spices are known to have potent antifungal activities. A study conducted on 11 different types of spices revealed that all of these spices were effective against many fungi specially candida albicans. Spices do not let the candida albicans to grow and also stop the growth of mycelium of fungi. Spices have been reported to inherit activities against infection by Candida albicans. These reports are based on researches conducted in previous years when activity of different spices was tested on Candida albicans. Cloves: One of the best spices which can be used for prevention of candidiasis are cloves. Cloves are observed to possess potent antifungal properties due to which they are involved in restricting progression of candidiasis. Clove oil is considered to be the most powerful treatment for oral candidiasis (Mountain Rose Herbs). Garlic: Another treatment which may prove to be very effective for candidiasis is the use of garlic and garlic products. Fresh garlic is a source of sulphur compounds which have many antifungal properties, it is due to this reason that garlic stops the growth of Candida albicans. Ginger: As Candida albicans is an opportunistic fungi so it only cause diseases if a person is suffering from immune- compromised state like a disease including AIDS and cancer. Ginger, garlic and onion are the spices which not only reduces the chances of development of Candida albicans infection but also help the body to come out of these immune- compromised state and reduce the symptoms of these diseases which automatically inhibits the growth of Candida albicans. Origanum, which is known to be a flavoring agent of food is shown to possess significant activities against Candida infections (Manohar V et al 2001). Coriander can also be taken to reduce the risk of candida infection and to ensure early recovery from many types of fungal infections including candidiasis (Saeed S & Tariq P 2007). Cayenne pepper is another spice which is investigated to have profound effects against genital and oral candidiasis. It can be included in the diet on daily basis to reduce the risk of getting candida infection (University of Maryland Medical Centre). Seshathri and Getahun in their studies proved that spices which are originated from Trachyspermum copticum possess significant antifungal properties and hence they prevent the infection of C. albicans. When the cinnamon powder was combined with honey, it inhibited the growth of C. albicans. Oral candidiasis is also observed to be ameliorated by spices originated from Rosemarinus officinalis, Allium ursenum, Cuminum cyminum and Nigella sativa (Seshathri KN & Getahun BN 2013). Mint and peppermint are observed to possess strong fungicidal effects on Candida albicans (Erturk O 2006). What Spices to Avoid for Candida? Although there is no substantial evidence found which might suggest the role of spices in flaring up candida infection. However, for Fenugreek and Basil, there has been found conflicting evidence. While many may suggest its use for the cure of candida, simultaneously, other may recommend against the use of these spices due to their enticing role in inducing production of estrogen. Estrogen has been known to flare up growth of candida by producing a favorable environment. Therefore, it is better to avoid controversial spices where a lot many are available with their proven role. Spices should be added in daily routine and should be eaten at least once a day. Different types of spices especially, cayenne pepper and mint should be taken daily to reduce the chances of Candida infections. Cloves can also be taken at least one time a day to debilitate candida of its growth. Ginger, onion and garlic are among the best spices for life which can be added in daily routine meals because, they also exert innumerable benefits on health.